Approximately 50 kilometers outside of Antwerp, Nike, Inc.’s European Logistics Campus (ELC) stretches across four locations: Laakdal, Meerhout, Herentals and Ham. 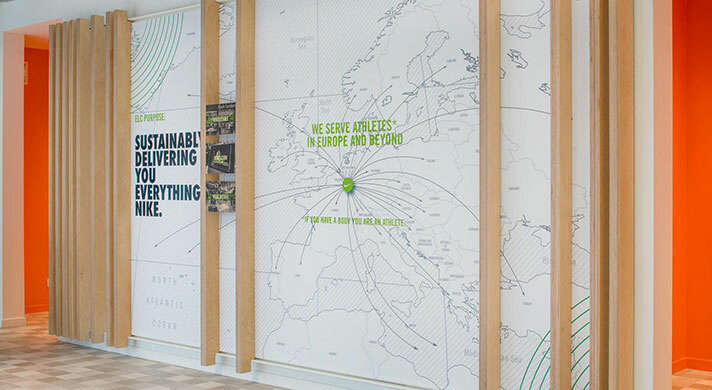 This state-of-the-art centralized distribution network in the center of Europe allows Nike to serve a vast network of retailers and consumers not just on the European continent, but across the world. 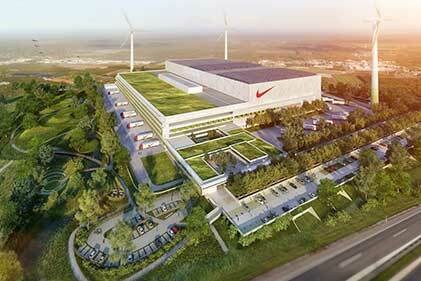 Our facilities in Belgium are a pinnacle example of how sustainable innovation is embedded into Nike’s growth strategy. In all activities at Nike ELC, we aim for maximum efficiency and performance whilst minimizing our impact on the environment. The facilities source energy from locally generated renewable sources and our footprint is minimized through the innovations we have made in how we pack and ship our products. Nike ELC employees are at the heart of a network of factories, transporters, retail stores and customers, shipping hundreds of thousands of the latest Nike products every single day. The departments represented at ELC include Distribution, Warehouse, Logistics, Transport, Finance, Human Resources, Technology, Planning and Customs & Trade. Nike ELC offers numerous sports facilities on-site for employees and their families, including a gym, an indoor court, an outdoor football pitch, tennis courts, volleyball court, basketball court and athletics track. 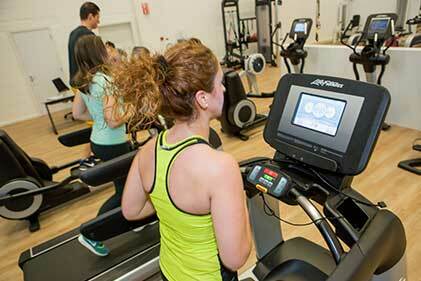 Employees can also make use of an onsite personal trainer and fitness classes. On these pages, you can learn more about this location and its people and, if you’re up for the challenge of finding your greatness with Nike, check out what’s available at Nike’s European Logistics Campus and apply now. 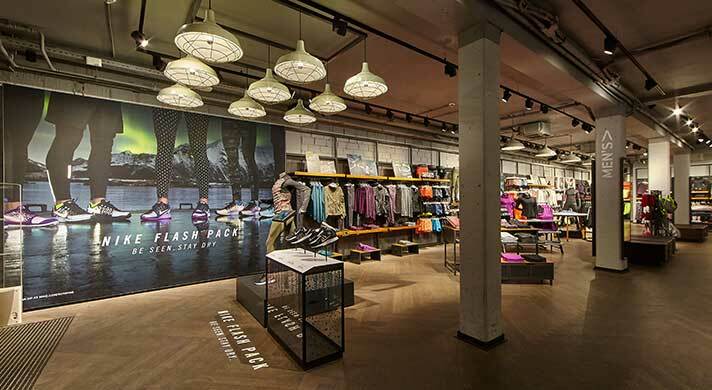 Nike Belgium also has a growing retail presence, operating retail stores in locations such as Antwerp, Brussels, Liege, Maasmechelen, Mons Charleroi and Messancy. At the European Logistics Campus in Laakdal, the culture is characterised by teamwork, perseverance and pride. We value sustainable entrepreneurship, prioritise personal development and show respect for both the individual and the environment. 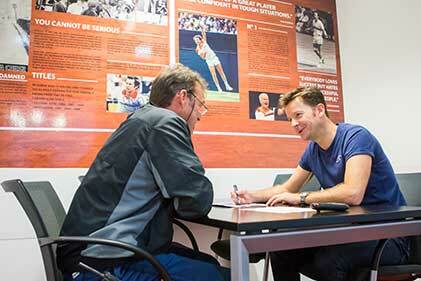 The bar is high, the atmosphere informal and employees are united through their passion for sport. The main thing that inspires me, besides Nike’s great marketing initiatives and innovative products, is the powerful “Just Do It”. This slogan truly motivates me to push to my limits and achieve things I didn’t think were possible, both in my private and professional life. My Nike journey began in 2013 when I started working as a Team Coach in the footwear department. I was very excited to join the Nike team and I haven’t regretted it since. Nike is an enormous organization, operating across the entire globe and there is so much to explore and to learn. I’ve really enjoyed the career development I’ve been given; each step has broadened my experience and taught me so many different skills. I think my curiosity is an important aspect which has allowed me to progress to where I am today. Asking a lot of questions and always being interested in different work processes, not only within my area of responsibility. I think this is what keeps me motivated. My managers have been a really important part of my journey too. They have been great sources of inspiration and act as mentors. They’ve always given me great support. To me, one of the absolute best things about working for Nike is that it doesn’t matter where you start. It’s such a big company, and if you are willing to put in the work, you can often find your own path to the job you really love. I hope to be able to continue to develop myself at Nike and my dream is to experience many different departments and divisions within the company. 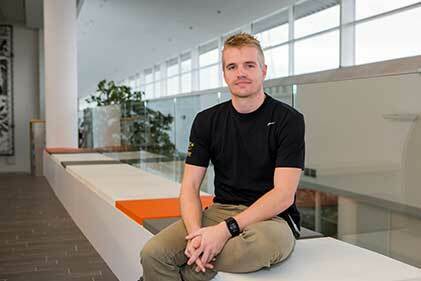 "From the moment I entered the Nike reception area for the first time, I knew this was a company I wanted to work for. I immediately felt the informal culture, the positive energy, and the buzzing vibe. The Nike culture matches my personality so well and I’m also hooked on the power of the brand. It makes me proud to work here and every time I see a “swoosh” on the street, it leaves me with a smile on my face. The environment here is very fast paced and this is also what makes every day exciting and fun. I’ve had so many great moments over the past 8 years at Nike; new processes, projects, growth plans and Nike-family celebrations. Still, to me it’s the little things that make a difference; the day to day work, the colleagues and the team. This is what makes it exciting to come to work every day. My advice to anyone who wants to join Nike is; be a sponge and never stop learning. 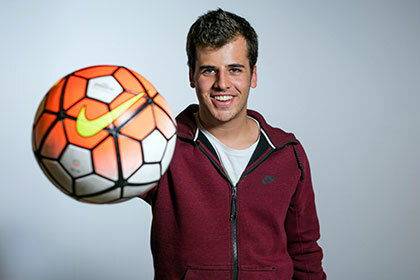 I’ve had a lot of different jobs at Nike because I’ve always been open with my managers about what I want to achieve. This allowed me to keep challenging myself and them to support me in my development. Also, always be yourself - each person contributes with their own strengths and capabilities; this is what makes us such a great team. For me, the best thing about working for Nike is the opportunity you are given here. I feel that the most important thing is what you achieve and how you achieve it, not your background or diploma. I also believe that you are responsible for your own career, so when you know what you want, set a realistic goal and Nike will support you in achieving this. If you like to take on challenges, if you see opportunities rather than obstacles, if you like teamwork and to continuously improve, you will love working at Nike!" 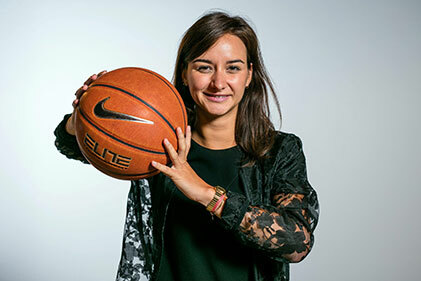 "Even before applying for a role at Nike, I already had a connection with the brand since my parents owned a sports store and we were one of the first in Belgium to sell Nike. Looking back, I’ve been passionate about the Nike brand since the early ’80’s! Nike is an extraordinary company to work for. 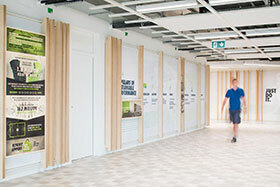 The environment is open and dynamic and employees are really valued. It’s also very rewarding to work for such a growth business. With the growth comes continuous change and continuous learning, which is what truly motivates me come to work every day. I’ve really enjoyed the many different roles and opportunities I’ve had here. It’s truly allowed me to develop myself and my career within the business. My job at Nike was my first job ever and I truly hope it will be my last. My advice to anyone who is interested in joining Nike is that if you’re looking for something more than just a job; an exciting journey which is not already defined, but something you can define yourself, Nike is the company for you." 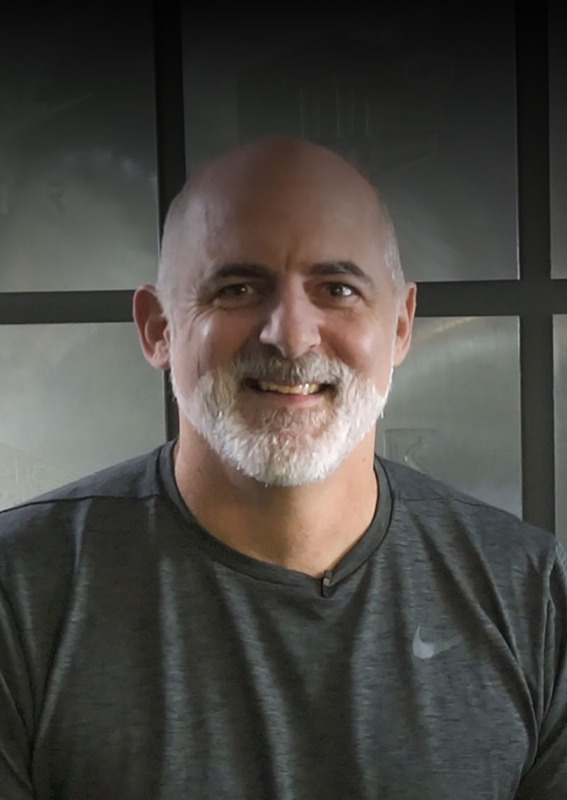 Nike, Inc.'s competitive benefits program provides employees with the opportunity to stay fit, ensure the wellness of their families, and create a positive working environment. That is why every geography provides for variable health coverage, fitness center memberships, time off, retirement savings, and more. Your particular benefits package will depend on your position and location. 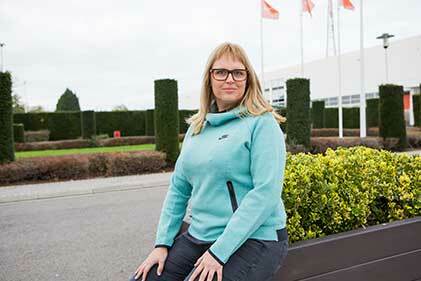 Here's a look at some of the benefits available for employees who work at the Nike European Logistics Campus in Laakdal. Another financial benefit is Nike’s contributions to retirement accounts: Nike partners with employees to save by providing a monthly contribution into their personal retirement savings accounts. Nike ELC employees also receive Life and Disability insurance fully paid by Nike. Nike also contributes to the costs of employees’ commuting expenses to and from the Nike ELC, via a commuting allowance. Nike has negotiated a collective private health insurance for eligible employees and subsidizes the premium for the employee. Nike offers a flexible daily working schedule to promote better work-life balance. 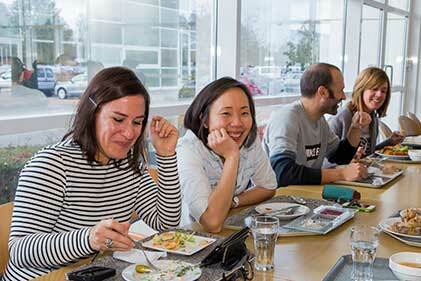 A generous vacation package gives Nike ELC employees 26 paid vacation days per calendar year. 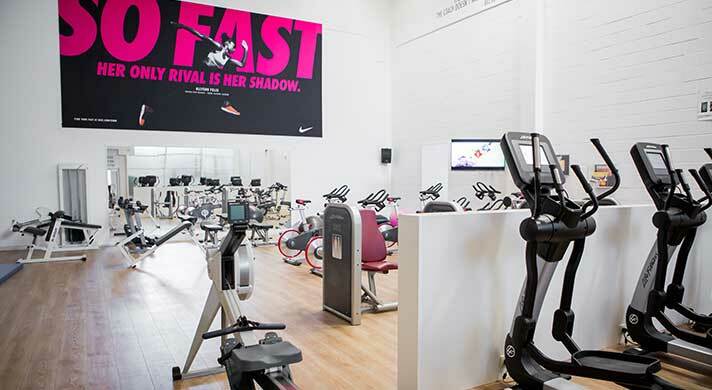 Other initiatives strengthen Nike’s wellness culture, from meal vouchers, access to physiotherapists and nutritionists, to ergonomic, adjustable workstations. Nike exists to bring innovation and inspiration to all athletes – including employees. Sport is in Nike’s DNA, and its energy invigorates the Nike ELC in Laakdal. The onsite sports & fitness facilities at the Nike European Logistics Campus, Laakdal includes a gym with cardio and strength machines, free weights and kettlebells, an indoor court for football, basketball, squash, netball, hockey and badminton, as well as fitness classes including cross-training, boxing, spinning, yoga, and more. The Laakdal campus also features an outdoor football pitch, tennis, volleyball and basketball courts and an athletics track. Employees can also make use of an onsite personal trainer, whilst gearing up for workouts is easy with the on-campus Nike store that stocks the latest products. 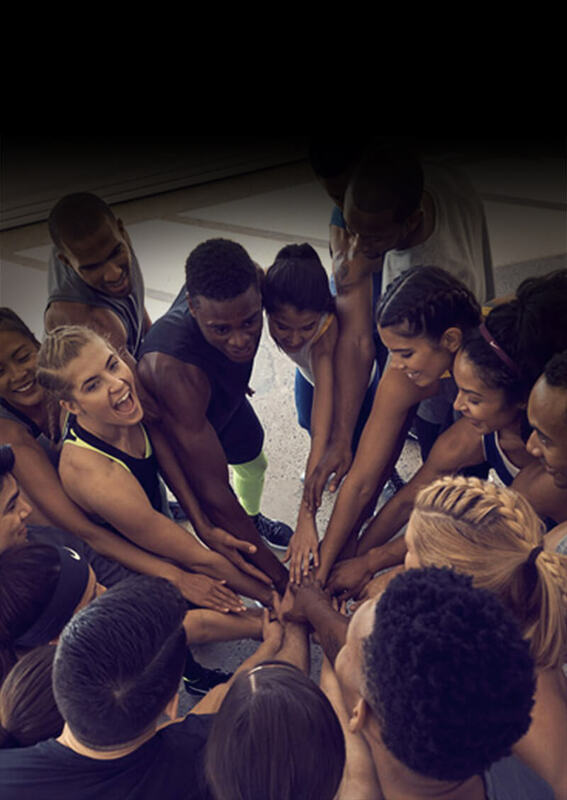 Nike’s Manager Excellence program helps managers develop their skills and knowledge to lead, coach, drive and inspire their teams to unleash employees’ individual and collective potential. Located in the province of Antwerp, amongst green fields and alongside the Albert Canal, Nike, Inc.’s European Logistics Campus (ELC) stretches across four locations: Laakdal, Meerhout, Herentals and Ham. Learn more about our European Logistics Campus, and the local area, below. 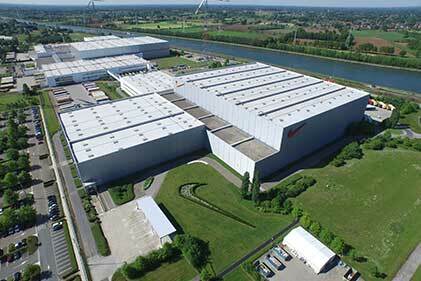 Nike’s main European Logistics Campus is located in Laakdal, in the province of Antwerp. Around 2500 Nike employees work here, which grows to more than 3000 during peak periods. Many of our employees live in the local area of Laakdal, including the towns of Eindhout, Veerle and Vorst. There are also many Laakdal employees who commute here from Antwerp and Brussels. The Laakdal site is easily accessible by car and also by bike. Nike is a growth company, and in order to continually serve customers on a global scale, the Laakdal distribution center has expanded many times since it first started operating in 1994. Today, the campus is at the heart of a huge network of factories, transporters, retail stores and customers, shipping hundreds of thousands of units of the latest Nike products every single day. To support growth, Nike opened an additional distribution center in Ham in May 2016. This campus expansion enables the company to more quickly serve its consumers with performance products when and where they want them, across Europe and the world. Sustainable innovation influenced all aspects of the facility, emphasizing Nike’s vision for a low-carbon, closed-loop future as part of the company’s growth strategy. The facility uses 100% renewable energy, and sources energy from five locally generated sources: wind, solar, geothermal, hydroelectric and biomass. Six wind turbines on-site produce enough electricity to power 5,000 households, and the on-site solar panels cover the size of three soccer fields. More than 95% of waste generated on-site is recycled and pathways used by employees around the facility are made from recycled footwear material. Another distribution center of the Nike ELC campus is located in Herentals, only 19 kilometers from the Laakdal site and 30 kilometers from Antwerp. The Herentals site is a state of the art logistics center that employs around 500 people. Nike’s distribution campuses are all located within commuting distance from the lively city of Antwerp where many Nike employees choose to live. The city is steeped in history, with an intriguing medieval center of café-filled cobbled streets and startling architecture. 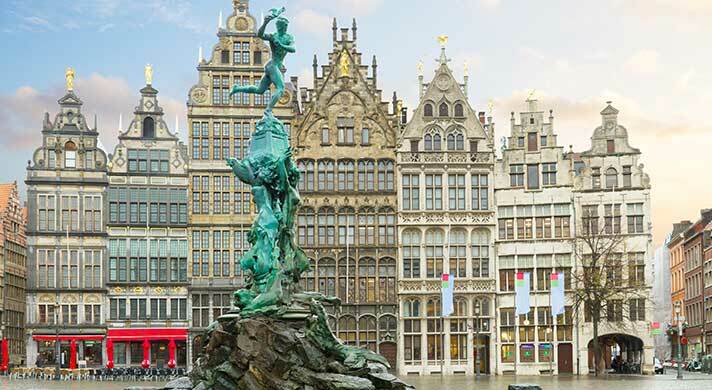 Antwerp is popular for its vibrant culture and nightlife and is well known as a centre for both the fashion and diamond trades. Antwerp is an international, modern city, with a compact city layout that makes cycling a popular choice for Antwerp residents to get around. These are just a few of the reasons why many Nike ELC employees choose to base themselves in Antwerp. 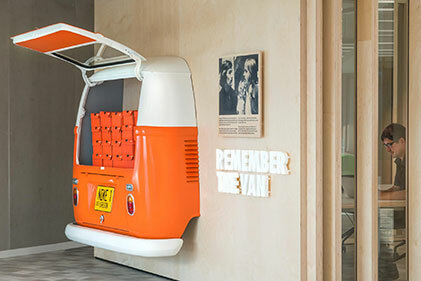 In Nike’s internship program at the Nike European Logistics Campus, undergraduate students get a full immersion into the brand’s culture of curiosity and innovation. Interns interact with company leaders, tackle complex business challenges, and build relationships and skills that endure far beyond their internship. They work on teams such as Supply Chain, Finance, HR, Maintenance and practically every other area of the company and get access to Nike’s world-class facilities and employee benefits. 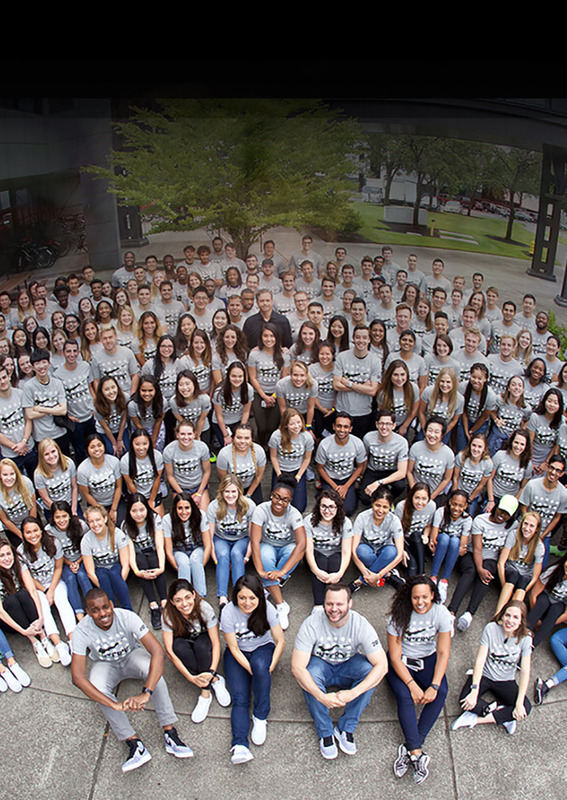 The Nike, Inc. internship program at Nike ELC is an unpaid internship open to students currently enrolled in a higher education institution (i.e., university or equivalent). Fluency in English, both written and verbal, is essential. For most functions, speaking and writing in Dutch is also mandatory. 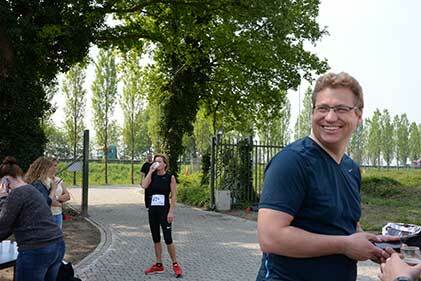 In which disciplines does Nike offer internships at the Nike European Logistics Campus? Nike ELC internships are 3 to 6 months. Nike ELC offers two intake periods for interns during the year: in February and in September (unless a different start date is specified on the posting). No, to be eligible for an internship at Nike ELC, the applicant must still be enrolled in a university or equivalent education program. All internship opportunities are listed on this career site and students can apply directly online. Applicants need to be available for the start date and duration specified. Nike will post internship opportunities on this career site in February (for a September start date) and in September (for a February start date). Each application will be reviewed against the requirements of the position and, if an applicant’s background meets the requirements, he or she will be invited to a face-to-face with the hiring manager and then Nike will accept the strongest candidate for the internship. Yes. Internships at Nike ELC are flexible though most require 4 day attendance. Is it possible for a student to work on a thesis or university project during the ELC internship? Yes. Students will have the opportunity to work on their thesis / university project during their internships. This is arranged between the interns and their managers. Do interns need to speak English in order to complete an internship at Nike ELC? Yes. English is a common language at Nike, so applicants need to be fluent in English, both written and verbal. 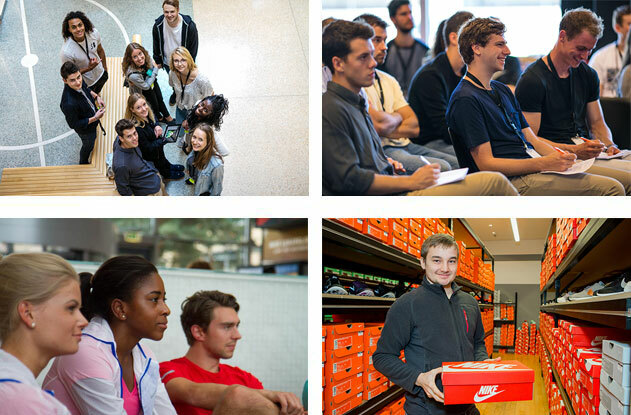 For most internships at Nike ELC, Dutch is also a requirement. Yes. The majority of Nike, Inc.’s European internship opportunities are located at the European Headquarters in the Netherlands. Some of Nike, Inc.’s other European offices also offer internships. Applicants can search for internship opportunities by country on Nike’s career site to find internship opportunities in the Netherlands, France, Germany, Italy, Russia, Spain, Turkey and the United Kingdom.